Bottom-outlet valve as end-of-line valve for very high discharge rates with a largely linear control characteristic. 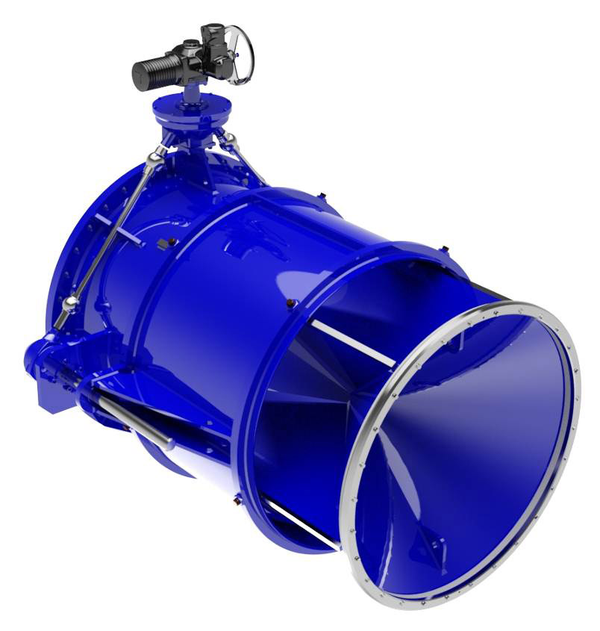 For cavitation-free discharge in all control positions. Intensive conversion of energy due to discharge as a hollow jet. This prevents damage to the structure by vibrations as the flow is not interrupted before the sealing seat. Suitable for use in bottom outlets and dams.